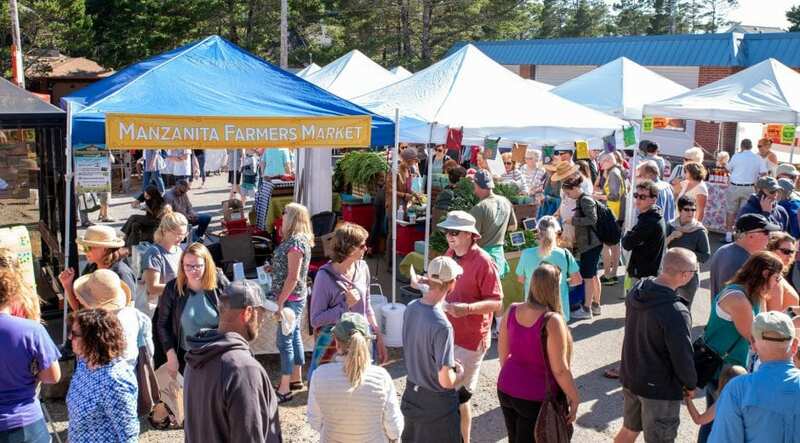 The Manzanita Farmers Market has expanded to over 50 vendor booths. Stop by on Friday evenings, June through September, from 5pm to 8pm at the intersection of Laneda Avenue and 5th Street. Live music every week adds to the festivity. 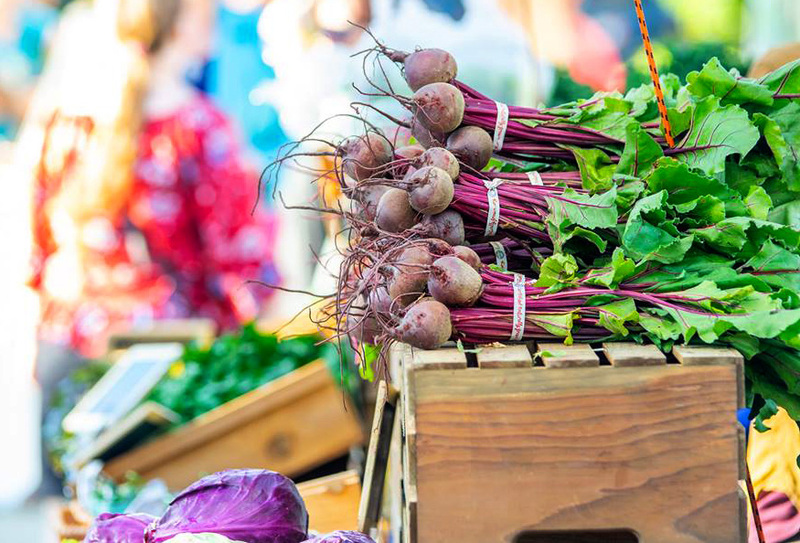 The magic of a farmers market is how much fresh, wonderful stuff you can find. Summer is the perfect time to try exotic honey, beyond the regular clover variety you’d find at the store. Try the sweet stuff made from orange flowers, blackberry blossoms or lavender sourced in-state. Lance’s Farm Vittles has pasture-raised lamb, pork, and beef from their 3rd-generation family farm along the Miami Foley Road. Piled high at R-Evolution Gardens the onions look like giant pearls from the earth. Yellow summer squash at Green Fork Farm sit like sunshine orbs next to bundles of rainbow carrots. 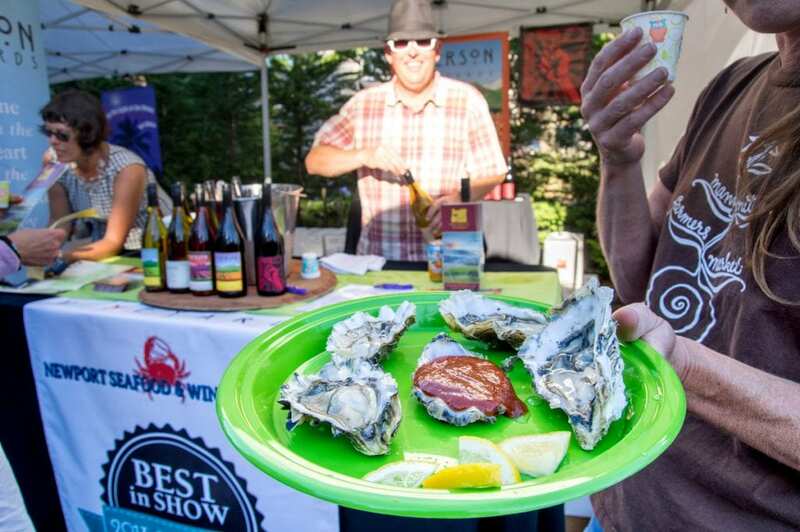 Community Supported Fishery serves up oyster shooters with slices of lemon. Through June and July, find tender, yellow-orange apricots, peaches and nectarines right off the farm stand. You can also take them home to make jam or dry them out in the oven for trail mix. And don’t miss the rich variety of berries: boysenberries, marionberries and huckleberries are all unique emblems of the Northwest. Embrace foods you haven’t tried before and look up instructions online for how to handle, clean, and prepare them. Talking to the farmers selling them is a great first step! The folks who grow this stuff know what they are talking about and are happy to share their knowledge with curious customers.